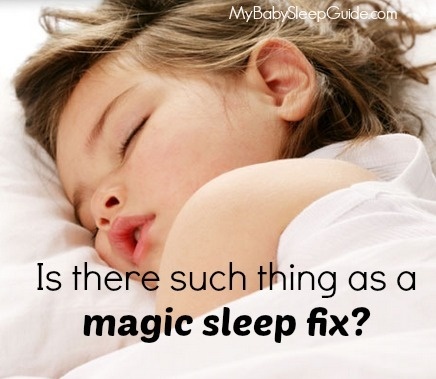 Is there such thing as a magic sleep fix? 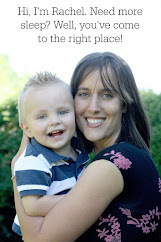 ~ My Baby Sleep Guide | Your sleep problems, solved! Is there such thing as a magic sleep fix? A lot of the time when people ask me for sleep help, they are hoping for some sort of magical sleep fix. What do I mean by magic? You know, something that doesn't require much time, effort, consistency or tears. Sounds dreamy, right? Especially if you haven't slept long enough in the last few months to even get to the dream state. I'm sure you are also wondering if some product or method exists that will transform your child easily and pain free in a matter of hours or days. Who wouldn't want this!? Surely it must exists. I mean, books and sleep trainers and blogs often promote things like 'super easy sleep training', 'have your child sleeping in 3 days!' and of course 'magic sleep training fix'. Well, the truth is, folks, while these resources may have some great suggestions to her your little one sleep, it probably won't be as easy or as magic as they make it sound. If they let you know how hard it was going to be in their advertisement, it wouldn't be a very enticing advertisement, now would it?! How does 'teach your baby to sleep--lots of hard work, consistency, tears from the both of you and likely several days or even weeks will be required for this to work' sound? Not so awesome, huh? I'm pretty sure you wound't be ordering that book with overnight shipping on amazon! Sure, there are the rare babies out there that sleep pretty amazingly. And sure, sometimes there is the one amazing thing you can do to make a baby's sleep go from horrid to amazing (like an earlier bedtime, less waketime length, swaddling, white noise, magic sleep suit etc. ), but most likely changing a thing here or there will help, but not fix all the issues. Sleep is complex and can be tricky to figure out, and sleep habits take a while to learn or relearn. I'm taking a real long shot hoping for a reply as I see you do still reply to some posters on really old posts. I've loved reading the blog, thank you. I'll try and keep it simple and say my 15week old only sleeps using a human pillow, mainly me, for both naps and night time. I'm a fist time mum, breastfeeding with some health issues for the first few weeks and didn't realise the issues I was creating! We basically have none of the ground work laid. My question is do I A) lay ground work first, with all sleep props still in place - he'll still co-sleep/bed share, or do I B) lay ground work and sleep train at the same time - so start a routine/environment/consistency and lay him down on his own? He has a dummy and I introduced a Cuski three weeks ago but he has a real sleep prop of 1) just being held on his slde 2) laying one arm on my chest and hold on to the edge of my vest - I see him frantically raising an arm to reach on to something if he wakes up on his own; and of course 3) the dummy. I know I need to sleep train, I'm somewhere down the middle so will be comfortable with some CIO but not sure if it's too overwhelming to change it all at once?